Equality is one of the most discussed terms since ancient times. With many different aspects of equality (e.g. equality of opportunity, of outcome, of wealth, of rights etc.) being discussed, the field often seems simply too vast to be examined en bloc. 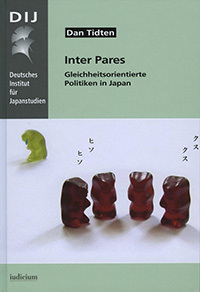 This work tries to analyse the broad variety of equality-oriented policies in present Japan, ranging from regulatory policies (e.g. affirmative action, anti-discrimination rules) and traditional welfare state instruments to non-regulatory policies like infrastructural or awareness-rising programmes. Based on these researches, some popular opinions about Japan and the Japanese (e.g. “Japanese are in general equality-minded more than liberty-minded” or “Japanese try to avoid judicial confrontation”) can be partly confirmed, others completely disproven. This book also contains an English summary.